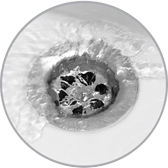 The drain in your kitchen sink will become clogged with fats, soaps, hair, grease and detergents. When fats and debris accumulates, it is highly likely that your drains will fail to function normally and will begin to drain slowly. Using a commercial plumbing product or household plunger may unclog the drain temporarily, but these measures will not get at the root of the problem. If you are having plumbing issues, we recommend that you contact a reputable and professional company such as ours today. For us, Drain Cleaning in Tempe, AZ is not a problem. If you hire us, we guarantee that you can trust our skilled and highly experienced technicians to do an outstanding job. Our team is the best at what they do and will not be outdone. You can be assured that our technicians will arrive at your home on time and will be prepared to get to work right away. Plus, we guarantee that they will fully inspect your plumbing and will take the proper measures to effectively unclog the drain. We offer dependable and top quality Drain Cleaning in Tempe, AZ will not be matched by any other competing company. We have been in operation for decades and offer first-rate plumbing services that will not be duplicated or surpassed. You can rely on our efficient team to do the job right and can trust that our highly trained and well experienced crew will successfully unclog your clogged drain. If you are looking for reputable plumbing services that you can trust, we urge you to give us a call today to make an appointment. We are experts when it comes to Drain Cleaning in Tempe, AZ and will not be beat by any other plumbing company in town.